Start earning $10,000 per month! Fill out the form to watch my free webclass. I'll share 3 secrets I used to scale my VA business from zero to $10K/month and why I'm confident they can work for you, too! This article may contain affiliate links. Read our Disclosure Policy. I’ve always loved learning new things. Even outside of school and required learning, I’d be studying, researching things, and pushing myself to be curious about the world. That’s why one of my favorite things about being a VA is that you get to continue to learn new tools, skills, techniques, etc. as technology and the only world is forever changing. Even better yet is that as a VA you often get paid to learn these things on behalf of your clients! 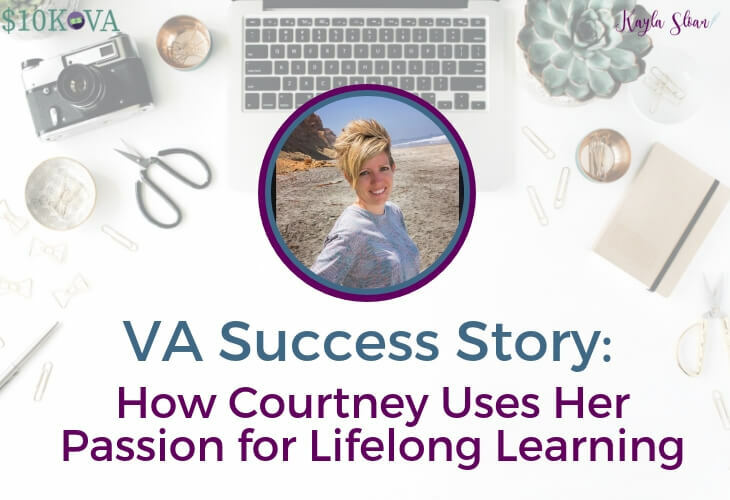 After talking with Courtney, one of the students in my $10K VA program, it’s clear that being a lifelong learner is also something that has contributed to her success as well! Here’s my interview with Courtney. Hi, Courtney! To start off, tell us a bit about you. Hey! I’m Courtney! I am a stay at home mom of two pre-school-aged boys. I have a Bachelors degree in Communication Studies from Arizona State University. (Go Devils!) Plus, I have my Masters Degree in Special Education. I was a high school Special Ed teacher for several years before becoming a stay at home mom. I am also a certified Body Pump instructor and love doing anything active. What made you decide that you wanted to be a VA? My whole life I have pursued education. I loved getting my higher education and I strive to be a lifelong learner. I also never want to be complacent. Since beginning all of this I have learned so much in such a short amount of time and I hope to continue to do so! Have you had any struggles with starting your business? The main struggle I have had, to use the term loosely, is finding clients. I got to a point where I felt like I had exhausted my circle in terms of looking for work. That’s when asking for referrals became quite helpful and I put Kayla’s tips to use from the course. How did $10K VA help you and your business or side hustle? $10K VA was helpful in so many ways! I definitely learned something new in each lesson. There was a lot of stuff that I hadn’t even thought of on my own. Plus, almost every time I did think of a question, it was already answered in one of the modules. The downloadable forms were HUGE for me in getting started! I also love getting familiar with tools and things like FreshBooks. This is something that I wouldn’t have known about had it not been for the course. What lessons have you learned and how did you use them to your advantage? The single, most helpful lesson I learned was how to pitch myself to potential clients. I have used the framework of Kayla’s pitches each time I have reached out to a potential client and every time I have gotten a response! I may not always land the client, that comes with time and experience, but I have landed a surprising amount of clients using the pitches and what I learned in the course. The initial contact is the hardest part for me, and learning to pitch has been quite advantageous. “Cold calls” are difficult, but learning how to break the ice is huge! What was the biggest thing you learned that you want to share with others? The biggest thing I learned, though it may sound cliché, is that you just have to go for it. Hit send on that pitch email even if it is scary or out of your comfort zone. If you never ask, you’ll never get a yes! If you are willing to hustle and try new things, there really is no limit to where you can take your VA business. By the time you complete $10K VA, you 100% have enough tools to get started. Would you recommend $10K VA to others who are just getting started as a VA? I would absolutely recommend $10K VA to people who are just getting started. I probably never would have put anything into motion had I not taken the course. My goals for my business include taking on projects and clients that “scare” me and challenge me. This will allow me to meet my big financial goals faster. Can you elaborate more on being a lifelong learner, and getting out of your comfort zone? I am a forever student. As someone who loves to read and write in my own time, I am constantly looking to learn new things. Being a VA has afforded me that opportunity while really challenging myself to get out of my comfort zone. I spent the better part of my first 25 years learning in school, which was wonderful and invaluable, but being a VA forces me to learn in real life situations, which can be scary at times. It’s so different than picking up a book and simply acquiring knowledge from that. And you get told “no” more often than you would like, but it has truly helped me grow as a person more than I thought it would. As of right now, I am a general VA. I do everything from emails to social media. This includes responding to customer and sales emails, answering questions that come from a website on Intercom, writing and scheduling Instagram and Facebook posts, editing blogs and articles, making PowerPoint presentations, and even creating eye-catching graphics for Facebook ads. I enjoy the wide variety it offers from day to day! Where can people find you if they want to connect? I’m still working on developing my website and social media channels. In the mean time, I can be reached via email at [email protected]. 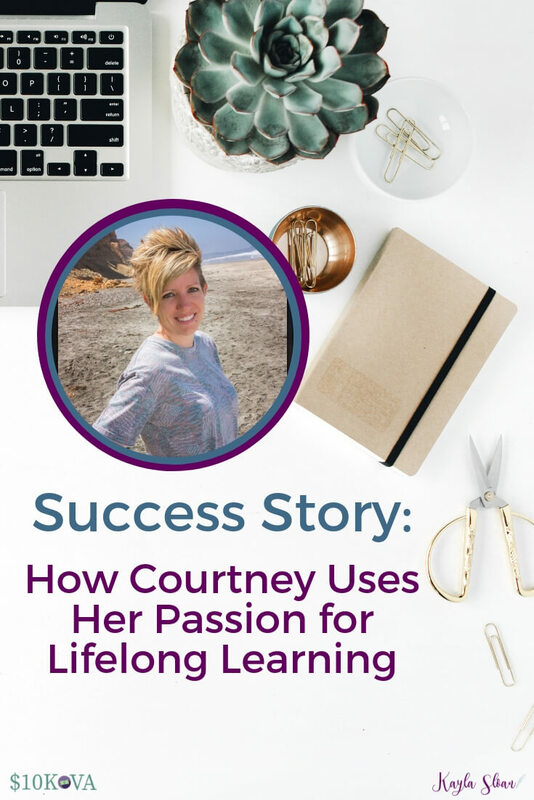 Courtney was a high school teacher before getting married and having two boys. She now works as a virtual assistant, often working while her kids are at school, dance or hockey practice! 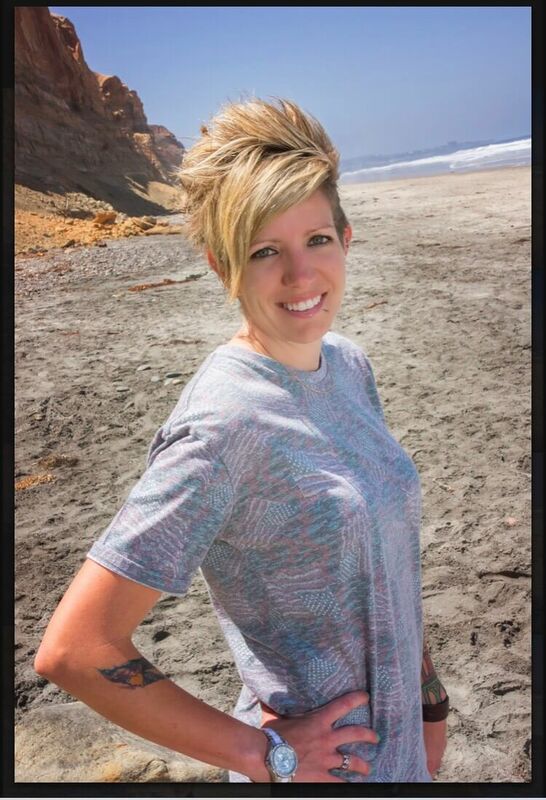 She has never had or wanted to have a typical “desk job” and has enjoyed the challenges and flexibility being a VA brings. Have questions or comments for Courtney? Drop them below! Want to be a featured student success story? Reach out to me here! Stop living paycheck to paycheck. Start earning $10,000 per month. Fill out the form to learn how I scaled my business from zero to $10K with these three things and why I'm confident they can work for you, too! Learn exactly how to take control of your financial future in my free webclass.